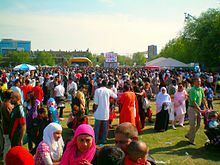 People of Bangladeshi descent are the second largest Muslim community (after Pakistanis), 15% of Muslims in England and Wales are of Bangladeshi descent, one of the ethnic groups in the UK with the largest proportion of people following a single religion, being 92% Muslim. 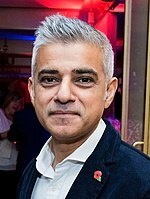 The majority of these Muslims come from the Sylhet region of Bangladesh, mainly concentrated in London (Tower Hamlets and Newham), Luton, Birmingham and Oldham. The Bangladeshi Muslim community in London forms 24% of the Muslim population, larger than any other ethnic group. Other smaller Bangladeshi Muslim communities are present in Newcastle upon Tyne, Bradford, Manchester, Sunderland, Portsmouth, and Rochdale. There are groups which are active throughout Bangladeshi communities such as The Young Muslim Organization. It is connected to the Islamic Forum Europe, associated with the East London Mosque and the London Muslim Centre – all of which have connections with the Bangladesh Islamic party, the Jamaat-e-Islami. Other groups also attract a few people, the Hizb ut-Tahrir – which calls for the Khilafah (caliphate) and influences by publishing annual magazines, and lectures through mainly political concepts, and the other which is a movement within Sunni Islam is the Salafi – who view the teachings of the first generations as the correct one, and appeals to younger Muslims as a way to differentiate themselves towards their elders. 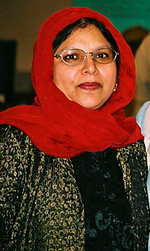 Other large groups include another Sunni movement, the Barelwi – mainly of a Fultoli movement (led by Abdul Latif Chowdhury in Bangladesh), and the Tablighi Jamaat – which is a missionary and revival movement, and avoids political attention. All these groups work to stimulate Islamic identity among local Bengalis or Muslims and particularly focus on the younger members of the communities.Sylhet Division, which is where majority of the British Bangladeshi community hail from, is considered the Spiritual capital of Bangladesh. Shah Jalal, also known as Hazrat Shah Jalal, arrived to Sylhet with many of his disciples from Yemen to spread Islam to Sylhet and then to the rest of present-day Bangladesh. Shah Jalal was responsible for the Conquest of Sylhet against Raja Gour Govinda and hence, many Sylhetis now follow Islam. Shrines for many of these "Hazrats", or Saints, are spread throughout Sylhet. Another famous saint is Shah Poran, who was very close to Shah Jalal. Many mosques opened by the British Bangladeshi community are often named after these Saints. 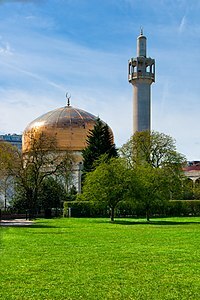 The British Bangladeshi community has held a strong point in Islam, often opening mosques, one of them being the East London Mosque and Brick Lane Masjid, as well as opening madrassas, Islamic TV Shows on TV Channels, such as Channel S, Quran Contests and Islamic Trivia shows, etc.